The President of South Africa, Jacob Zuma, yesterday, warned that no Nigerian citizen should be killed in any part of his country. 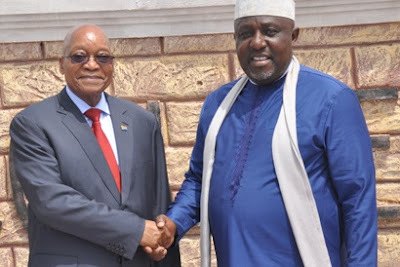 Zuma was quoted to have made the statement in a release in Owerri, Imo State capital, by the Chief Press Secretary to Governor Rochas Okorocha, Mr. Sam Onwuemeodo, after receiving the Imo Merit Award and signing of Memoranda of Understanding, MoU, between Zuma Foundation and Rochas Foundation of Africa. Also in the release, Zuma said no South African citizen should be killed as he called for stronger partnerships between Nigeria and South Africa.